A father and son were both injured whilst ascending Blacksail. The father in his 60’s sustained a dislocated shoulder whilst the son (early 20s) collapsed from shock and sustained a gash to the head and was reported to be in a confused state. 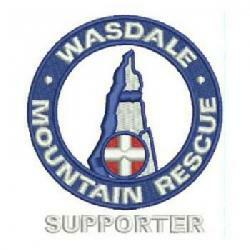 The alarm was raised at the Wasdale Head shop and the team were called out. 21 team members were involved in the rescue. The father was stretcher carried back to Wasdale Head whilst the son made his own way down. They were transferred to West Cumberland hospital via the team’s own minibus ambulance. The request for an ambulance could not be provided within a practicable timescale due to a number of emergency incidents across the county on this Easter Friday. Whilst Wasdale MRT were carrying out their rescue, Langdale Ambleside were attending a serious leg fracture on Crinkle Craggs and Patterdale were attending two cragfast climbers in their area of operation.